Living in California for half my life (and the first half in the Philippines), my body was not meant for extremely cold weather. I get cold very easily. Once the temperature drops to 50 degrees, whining ensues. So when we planned to drive up to Montreal from Washington D.C, I was a bit nervous and worried how I'll survive two days in the snow. Once we were there, snowing and all, it wasn't as bad as I made it up to be in my head. It felt like I was in my own little snow globe. 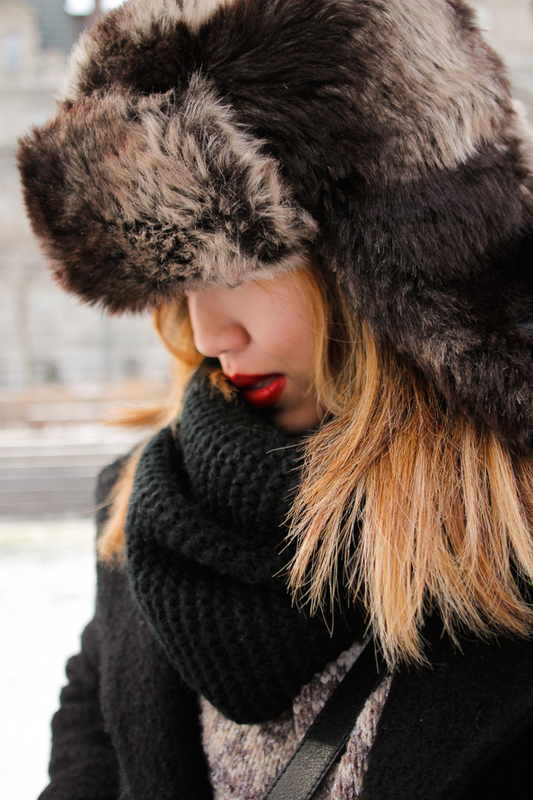 Although the temperature didn't go down to the single digits, 20 degrees was still considered freezing cold in my book. 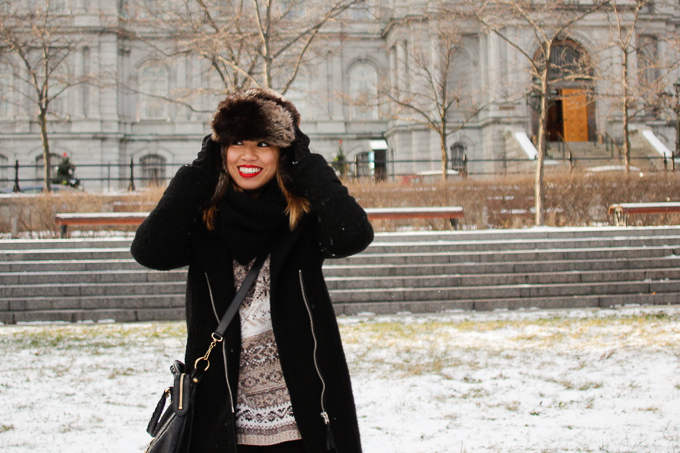 But layering with thermal shirts kept me nice and cozy as we explored Montreal. The drive from DC to Montréal is gorgeous if you go through the mountains rather than by New York City. And it is very cold there but you get used to it. You seemed to have packed very smartly, your outfit is warm and gorgeous! Enjoy your stay and don't forget to visit the vintage shops there!